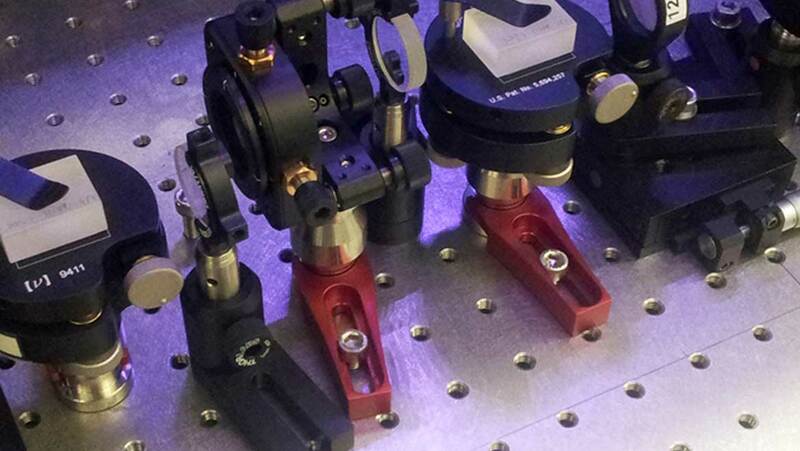 Scientists have created a tiny drum that can vibrate and stand still, simultaneously. A team of researchers from the UK and Australia has developed a novel technique that could help understand the boundary between the quantum world and our everyday, classical, world. In real life, hitting a drum with a drumstick causes it to move up and down, rapidly. In the quantum world, a drum can vibrate and stand still at the same time. This is definitely a big step for science. The drums create mechanical vibrations, which are very familiar to our everyday experiences. In the quantum world, the tiny drums are created such that at the same time, they can vibrate and stand still! This phenomenon occurs with the help of a special kind of drumstick and a trick from optical quantum computing. Here, the scientists used a highly specialized measurement with single particles of light (photons) to tailor the properties of the drumstick. Exploring the quantum behavior of macroscopic objects provides an intriguing avenue to study the foundations of physics, and to develop a suite of quantum-enhanced technologies. The macroscopic system is the one we see in everyday life, in the form of objects or phenomena visible to the naked eye. In this unique experiment, the limits between the two systems are not clearly defined. Basically, this research offers a kind of a magnifying glass, with which scientists can apply theorems of quantum physics, through visible experiments. For many years, scientists have been trying to generate quantum action on a tiny drum using a drumstick, made of laser light. Some investigators made progress, but they couldn’t achieve their goal, until now. Using an unconventional approach, researchers in England and Australia finally made a breakthrough. In quantum mechanics, an object can exist both as a particle and wave; this is known as dual nature of the object. Every particle or quantic entity can be partly described in terms of both particle and wave. Just like Einstein said, we must sometimes use one theory and sometimes another. These are the two contradictions of reality. This phenomenon holds true for elementary particles and also, for compounds particles. This experiment provided was a promising option to make the mechanical version of Schrodinger's cat, where the drum vibrates and stands still at the same time. 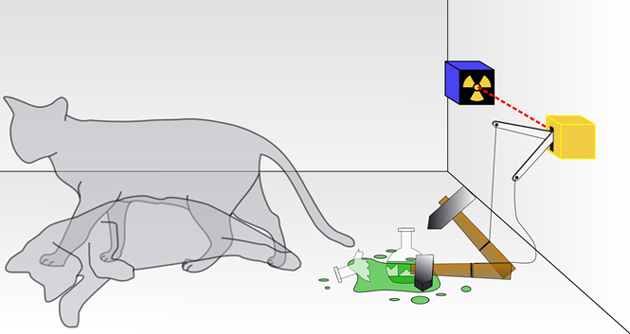 Schrodinger’s cat is a scenario that tries to explain the flawed interpretation of quantum superposition. This presents a cat that is pictured to be simultaneously dead and alive. In this experiment, we have a sealed box with a cat, a flask of poison and a radioactive source. If an internal monitor detects radioactivity, then the flask is shattered, releasing the poison, which kills the cat. The Copenhagen interpretation of quantum mechanics implies that after a while, the cat is in a quantum superposition, simultaneously dead and alive. When a person looks into the box, they can see that the cat is either dead or alive. This poses the question of when the superposition ends, and when reality ends, with the first possibility or the second. The team of researchers from the UK and Australia has made a crucial step towards understanding the boundary between the quantum world and our everyday classical world. In this innovation, we try to see this combination of the two different possible outcomes. The objects’ duality shows us that they can behave both like particles and waves and can exist in two different positions at the same time. The main question that has challenged many scientists and researchers is, "Why don't we see such behavior in everyday objects?” The team tried to explain this phenomenon in a macroscopic view, almost visible to the naked eye. The details of this research were published in New Journal of Physics. This innovation opens a feasible route to explore and exploit quantum phenomena at a macroscopic scale. Ultra-precise sensors and new types of transducers could be the next steps, based on this research. The present aim of the team is to improve their technique and enable the experiment to function at temperatures of zero, where quantum mechanics are expected to dominate. 2. Imperial College London, 2018. Can a quantum drum vibrate and stand still at the same time? 3. Pranjal Mehar, 2018. Can a quantum drum vibrate and stand still at the same time? The Drone with Wheels: A Realistic Step towards the Flying Car?